The original meaning of the word deadline referred to a line drawn around a military prison, beyond which prisoners were shot. A project deadline can be almost as threatening, and as a project manager, you may find yourself dodging political bullets forged by unreasonable expectations and demands with respect the project's schedule and budget. Although tight schedules may be dictated by legal, regulatory, or competitive situations, some deadlines appear to be arbitrary. Arbitrary deadlines result in a crunch schedule that will give you less time than you would like to have to do things right. They can be harmful to your career. The trick is to know what and how to negotiate with the senior managers who sometimes make these demands. According to Doug DeCarlo, a project management consultant at ICS Group in Norwalk, Connecticut, crunch schedules normally happen when management dictates a final date for the project rather then asks when it can be done. These crunch schedules can and must be negotiated. Doing so requires political savvy and alternatives. If a project deadline cannot be moved, then perhaps adding temporary help at an additional cost could help make the deadline. Another option may be to break the project into chucks, delivering only those chunks that can be produced on schedule. The political skill comes into play when you break a project into four chunks and have to explain to the fourth-chunk person why his or her part of the project is last. And, how should a project manager handle delays caused by political fighting, turf wars, and team members over whom you have no direct control? 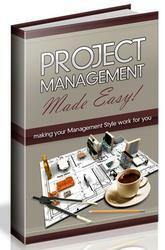 The answer is having documented project management processes that are agreed upon by upper management. Without this, a project manager may not have any legitimate authority. SOURCE: Adapted from Rochelle Garner, Captain of Crunch, Computerworld, October 6, 1997. http://www.computerworld.com /news/1997/story/0,11280,9205,00.html. project and their dependencies. These tools include Gantt charts, activity on the node (AON), critical path analysis, PERT, and the precedence diagramming method (PDM). 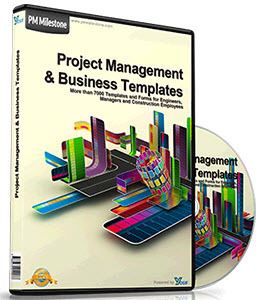 Many of these tools are integrated into most project management software packages; however, it is important to have a fundamental understanding of how these various project management tools work in order to make the most of an automated tool. Working with the U.S. Army during World War I, Henry L. Gantt developed a visual representation that compares a project's planned activities with actual progress over time. Although Gantt charts have been around for a long time, they are still one of the most useful and widely used project management tools. Figure 7.2 shows how a basic Gantt chart can be used for planning. Estimates for the tasks or activities defined in the WBS are represented using a bar across a horizontal time axis. Other symbols, for example, diamonds, can represent milestones to make the Gantt chart more useful. The Gantt Chart in Figure 7.2 shows the general sequence of activities or work tasks. In this project example, there are five tasks of varying durations and the project should be completed in fifteen time periods (e.g., days). In addition, the two shaded diamonds following tasks C and E indicate milestone events. Gantt charts can also be useful for tracking and monitoring the progress of a project. As shown in Figure 7.3, completed tasks can be shaded or filled in, and one can get an accurate picture of where the project stands for a given status or reporting date. In Figure 7.3, tasks A and B have been completed, but it looks like Task C is somewhat behind schedule. Although Gantt charts are simple, straightforward, and useful for communicating the project's status, they do not show the explicit relationships among tasks or activities. For example, we can see from Figure 7.3 that task C is somewhat behind schedule; however, the Gantt chart does not tell us whether there will be an impact on tasks D or E and whether this impact will push back the project's original deadline. The Gantt chart introduced in this section follows a more traditional form. As you will see, the Gantt chart used in most project management software packages today has been modified to overcome these limitations.